Our full suite of Mastercard® credit cards offers exceptional benefits, rewards, services and spending power that can help make your dreams come true. 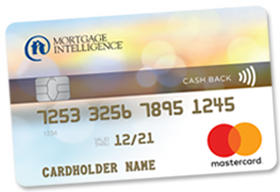 It's the best cash back card in Canada for homeowners! Here are our other Mastercard® Credit Cards. The most accepted card in the world! Redeem points for a wide range of travel possibilities, gifts, merchandise and more. Redeem points for flights, worldwide hotel options, top cruise destinations and more. Save money while enjoying high-value rewards including travel, gifts, shopping and more. Low annual fee, low interest rate, and basic purchase protection. Simple, easy and smart. No annual fee, and purchase protection. The perfect choice for students establishing their credit. Eligibility for rewards and/or account credit is subject to the terms and conditions of the Collabria Cash Rewards program. Terms and conditions are available online at collabriacreditcards.ca/cashbackterms04. Cash back earned as a percentage is for illustration purposes only. The Collabria Cash Rewards program is points based, and points may be redeemed for $.01 per point as an account credit. The promotional offer of 5% cash back, or 5 bonus reward points per $1 spent, on home improvement purchases applies to all qualified purchases made in the first 100 days after account opening. Once 25,000 bonus reward points are earned through this promotional offer, your reward earn rate will revert to the standard program.